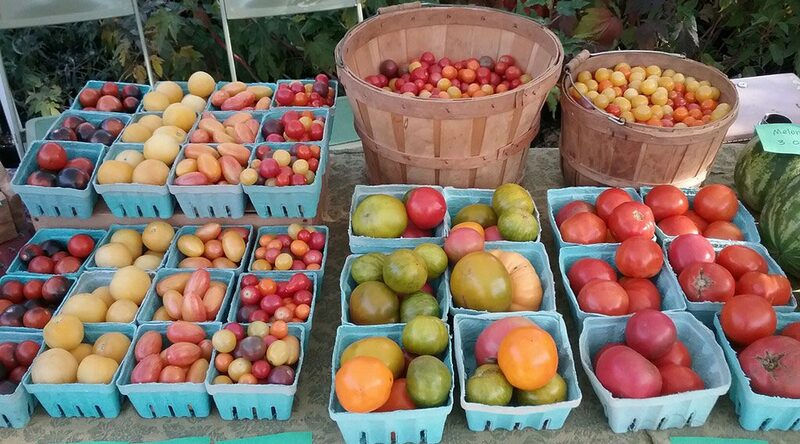 From May through October our farm stand is open on Mondays, Tuesdays, and Fridays from 4-7 PM and on Saturdays from 8 am – 1 pm We are located at 905 S. Cherry Street in Shell Rock, Iowa. Contact Us for bulk ordering! A nice variety of seasonal produce including your common day-to-day veggies and beautiful heirloom varieties including; carrots, loose leaf greens, lettuce, cabbage, beets, tomatoes, onions, garlic, zucchini and other summer squash, winter squash, broccoli, beans, peas, radishes, salad turnips, brussels sprouts, and NEW this year is asparagus! Strawberries, watermelons, cantaloupes, and a small amount of mulberries and black raspberries. Goat milk soap, herbal tea blends (only farm-raised), skin salves, and other herbal products. NEW this year, we will be providing LOCAL, HUMANELY RAISED, and ORGANICALLY RAISED meats from our farmer friends of Joia Food Farm (Charles City) and Solstice Farm (Waverly) including pork, lamb, and chicken as well as eggs. NEW this year, we are providing LOCAL artisan cheeses produced by Lost Lake Farm in Central Iowa. Homemade pottery, locally roasted coffee beans, and more! We are offering an assortment of informative agricultural and food focused literature for you enjoyment. These are for RENT ONLY and must be returned within a timely manner. Bridging Communities. Intentional Living. Nutrient Dense Food as Medicine, Good stewards of God’s Earth. Getting Hands Dirty. Empowerment and Compassion Driven. Contributing to the Cosmic Choir.